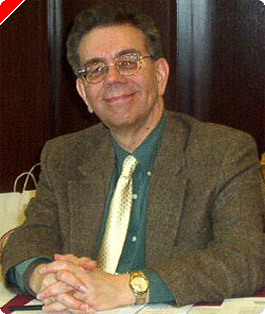 This article originally appeared on Pokernews.com, December 5, 2006. Last time we looked at some hitting problems in the early game. In this column we'll look at a couple of more examples. When you have a chance to hit on your opponent's side of the board in the early game, it's usually a pretty easy choice. Gaining a lot of ground in the race, advancing your back checkers, and taking away at least half your opponent's roll are so important that such hits are usually routinely correct, and even when wrong are rarely wrong by much. Am I hitting on a key point? The key points are the 5-point, the 4-point, and the bar-point. Both you and your opponent want to make these points quickly. Fighting for these points is crucial. If he makes one of these points, he gets an anchor and doesn't have to worry about being primed. If you make the points, you lock in his back checkers. Am I unstacking when I hit? Hitting and unstacking an overloaded point is good, bringing your checkers into play. Hitting while breaking an already made point is much weaker. Do I already have a good anchor? 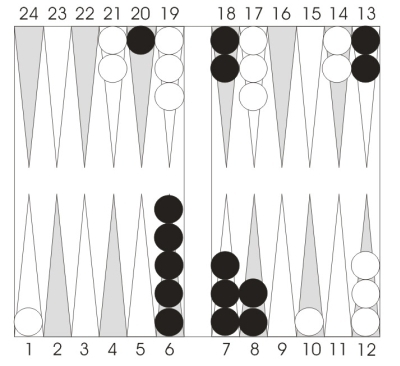 Hitting after you've made a good anchor on his side of the board isn't very risky. You won't like being hit back, but your game won't collapse. Hitting without a good anchor is more dangerous. Now a return hit could be awkward. Consider these salient ideas while we look at the next two problems. White has advanced his back checkers quickly, and Black has an opportunity to hit on either the 4-point or the 5-point. Let's check our hitting criteria and see if a hit here is recommended. Are these key points? Certainly. Can we hit while unstacking? Yes. The big stack on the 6-point cries out to be unstacked. Do we have an anchor, for defensive insurance? Yes. The 21-point represents a good, solid advanced anchor. We certainly don't want to be hit back, but we can easily survive. Butif you have a choice between attacking on the 5-point and attacking on the 4-point, which should you choose? Why choose? Hit both! The best play is 6/5*, 6/4*. No other play is close. Many players assume that hitting in the outfield is a routine play in the early game, and hit without thinking. Position 2 is a good example, where all but the best players would play 13/9, 13/10* in a flash. How much ground do I gain in the race by hitting? The more, the better. Hits on your opponent's side of the board are more likely to be clearly right than hits on your side of the board. Does hitting cost me a valuable point? Hitting with a spare checker is much more likely to be right than a hit which concedes a point in the process. Hitting from a big stack is even more likely to be correct. Is my home board strong? The more points you have in your home board, the more likely any hit is to be correct. Am I vulnerable after the hit? The biggest hitting errors occur when the hit leaves you with a bunch of vulnerable blots around, while your opponent's game remains pretty solid. Do I have a good alternative? As always, the strength of the alternative plays is key. Question anything obvious if the alternatives are solid and strong. In Position 2, every criteria argues against the hit. 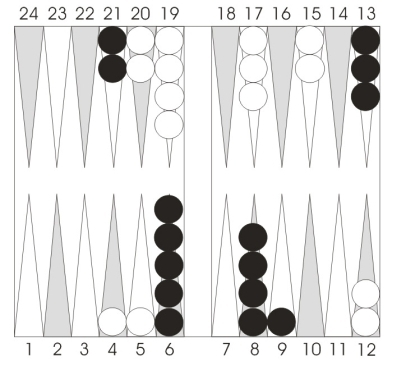 The 10-point isn't a crucial point, Black gains minimal ground in the race by hitting, it costs him the midpoint and doesn't unstack, his home board is weak, he doesn't have an anchor, he's very vulnerable after the hit, and he has a great alternative, 20/13, which leaves him in a fine position. While 20/13 is the top choice (because it saves the exposed and now useless blot on the 20-point, the hit is so bad that even 7/3, 6/3 is to be preferred. Next time: When splitting is a bad idea.